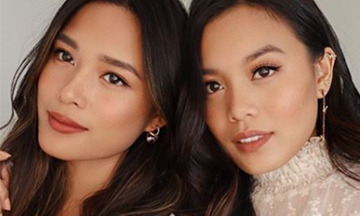 Beauty and lifestyle influencer twin sisters, Tsutsumi and Alexandra Hoang have signed to influencer marketing and management agency, summer.. The agency will be representing the Norwegian-born and based sisters for all UK brand partnerships and content collaborations for their Instagram channels. Collectively, the beauty, lifestyle and fashion blogger twins have over 280,000 Instagram followers. The girls are known for their professionalism, high-quality and refined aesthetics and have worked with brands such as Estee Lauder Companies, L’Oreal Group, Coty Inc, amongst its global partners and Guerlain, Dior and L’Oreal Luxe. Together, Alexandra and her twin sister Tsutsumi founded candidthat.com in 2016, an online magazine dedicated to fashion, beauty and lifestyle. The website offers beauty tutorials, educational content, front row fashion news and worldwide city guides.